This sounds really cool. I have a feeling the story will get interesting this episode. I know right. Knowing what happened from Ep 7, I fear that Rey’s adventure will be more dangerous knowing that the dark side wants her. Same here. I bet Luke will be more involved now knowing that he will have to face Kylo Ren again. I hear Poe will be also be involved too. I hope we get to see Luke fight Kylo Ren, that’d be awesome. Sure Poe’s role will be even greater in the new film, I hope so, great character. I’d like to see more of R2 and 3PO in the Last Jedi as well. The way I see it, Luke will probably play the role like Obi-wan and Yoda. A master who trains and fights along with the heroes. I want to see more of R2 again. That’s what I was thinking, he’ll be more like Obi Wan or Yoda in this film, I like all the droids as well. Too bad this will be the last time film that will have Leia. Yes, it is, will make those final scenes even more poignant now. Yeah true. I just wonder what will the fate of Luke and Leia be on this one. We lost Han. Judging by the title, it’s going to be really different. I enjoyed Episode VII, I am excited to see Mark Hamill as Luke again. I totally agree. I am very excited for this film. It’s going to be a long time to wait for December. I know what you mean. The last Star Wars film I saw in theaters was Episode III: Revenge of the Sith. That movie was out at 2005 I believe. Yes, I think it was 05, long time ago now. I wasn’t a big fan of the prequel trilogy, it was ok, but think the new films have been better. The one prequel film I like was Revenge of the Sith. Episode 1 was okay but Ep. 2 was meh. The newer films are awesome. Yeah, Episode 3 was ok, better than the other two, but nowhere as good as the original trilogy and the new films. The original and new films were really awesome.I guess they were trying to build up to the original stories. 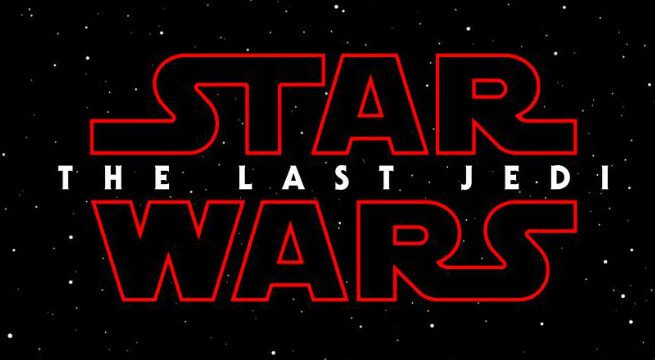 I liked Force Awakens but it did feel like a collection of the series’ greatest hits, I’m sure Episode VIII will bring added depth to the new trilogy, The Last Jedi is an intriguing title as well. Now just imagine Ray on her knees rocking an electric guitar singing about how she misses her daddy. Really like the title, feels like a good fit. Hopefully a trailer will follow soon! The Last Jedi is a classic space opera title. Not too B-movie like some of the others. I can’t wait for this one! I’m kind of wondering if the title has something to do with Luke being the last survivor of the Jedi order, and that Rey is going to be something else, just like Snoke isn’t really sith. Either way, it’s a mysterious title and I like it. Almost sure it will be Rey who will be ‘The Last Jedi’ unless the producers of Star Wars pull off a real surprise and the last jedi actually turns out to be C3PO or an Ewok!